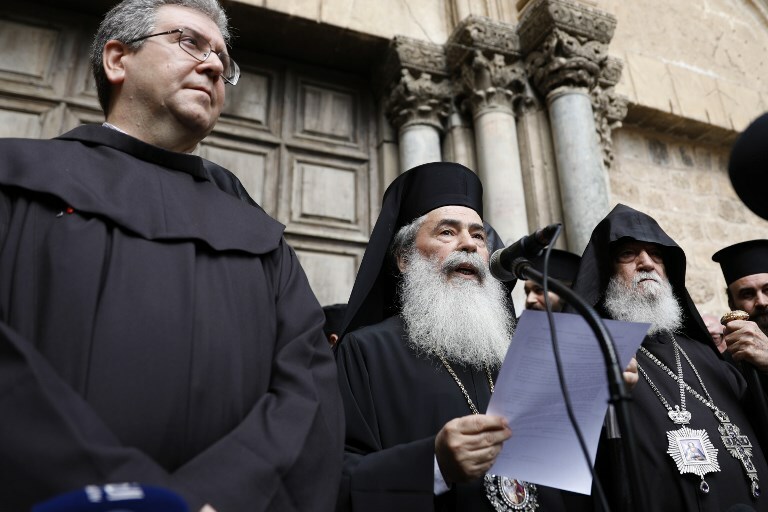 On Sunday, the 25th of February, 2018, Christian leaders of the Church of the Holy Sepulchre in Jerusalem closed its doors to protest tax and property bills targeting religious sites. Catholic, Greek Orthodox, and Armenian Church leaders said that the Church of the Holy Sepulchre, which is the holiest site in Christianity, will be closed indefinitely due to what they called a "systematic and unprecedented attack against Christians in the Holy Land." Did you know that 46% of the students at Bethlehem University are from Jerusalem? As the only Christian University in the Holy Land, Bethlehem University is committed to maintaining the Christian communities in Jerusalem, Bethlehem, and the surrounding region. The academic programs offered by the University equip the students with the tools necessary to find gainful employment and therefore the financial means necessary to remain in the Holy Land despite the “systematic and unprecedented attack against Christians in the Holy Land." Your support to the Bethlehem University Foundation serves as a way to directly assist our Christian brothers and sisters in the Holy Land.